This post was a long time coming. I suppose that could be because it happened a month ago (today). Or maybe because I was planning and "training" for it for a few weeks before that. All I know is that I did it. 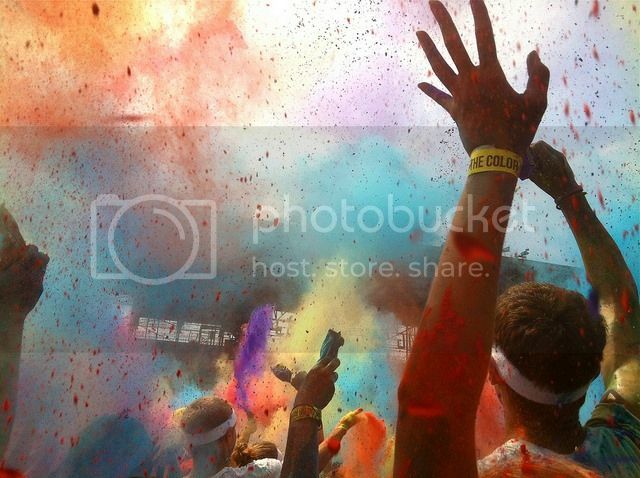 This all started last year in July when my sister and her friends did the Color Run. They had a BLAST and she made sure I knew. She also made sure to make me commit to doing it with her next year. I made her (what I had hoped was) an empty promise and I said I'd do it. Months went by and it was forgotten (mostly because in that time I had a baby... which kind of takes your attention and runs with it). Then, registration opened and I knew I had to think of an excuse quick. Unfortunately, Becca got her way and we signed up (late, mind you... so I had to pay an extra $5. What IS that crap?). And so - we ran. I won't mention our time because quite frankly, it wasn't great (think 30). I suppose some of it may have had to do with the corn starch powder and the fact that Becca had one piece of advice: inhale before you get into the color. I must have looked a mess at the end, or maybe it was because she was hungry and excessively tired, but the second Kylie saw me she started screaming and crying for her real mommy. It was pretty funny. 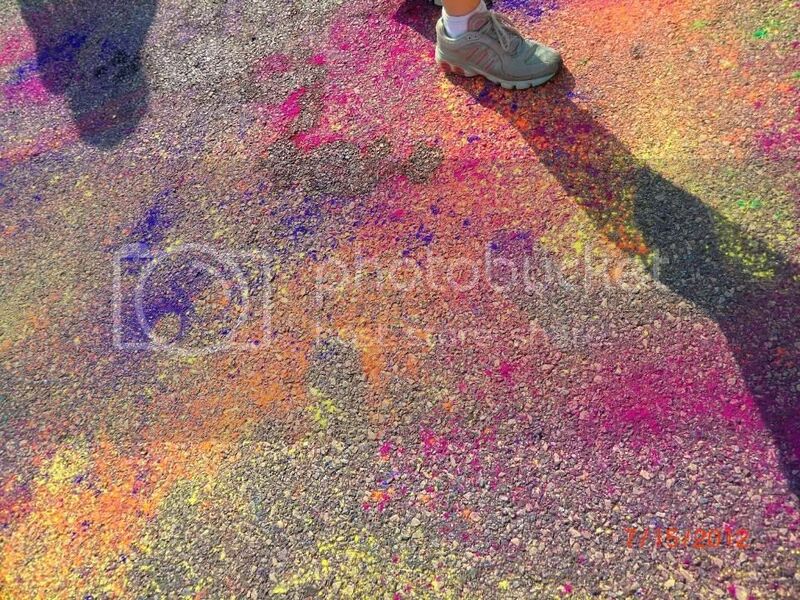 Now, will somebody please help me come up with an excuse for next year (or buy me a baggy of colored chalk to toss into the fan of my treadmill so I can practice)? On a side note - I usually have the TV or radio on while I work so I have some background noise (man, I wish I worked in an office) and Juno is on... it just made me very excited for Fall. That's all. Congrats on your first 5k, I hope to see you doing more in the Fall! 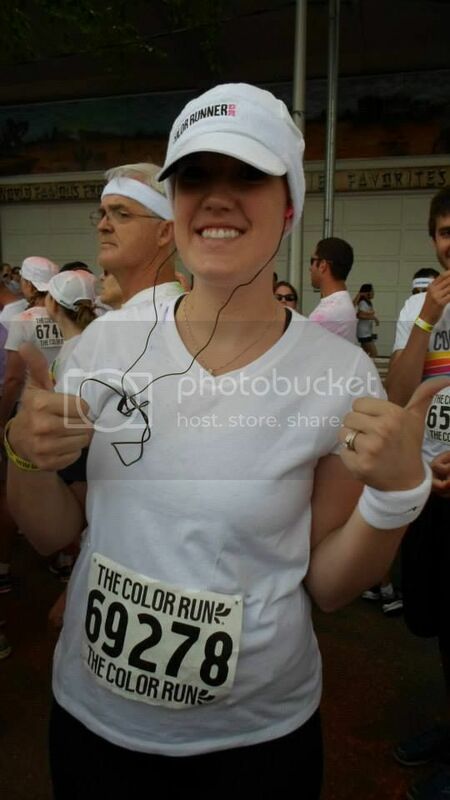 I did the Color Run last year. It was a blast but we ran in about 38 degree weather so all I could think about was getting done. I believe we had a terrible time as well (I honestly didn't even check) but it was so much fun! I think it would be impossible to recognize anyone after that, poor Kylie! Good for you momma...that is awesome!! 30, as in it took you 30 minutes? That's a great time! 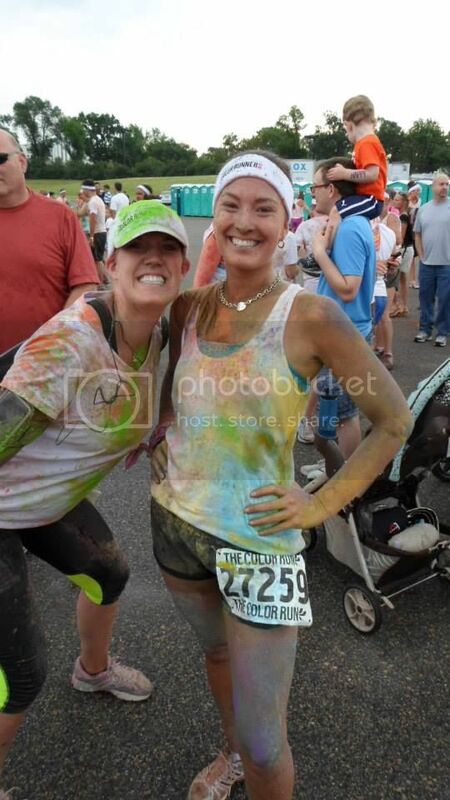 Especially for your first 5k! !